The world over, scaling the planet’s highest peak is an adventurer’s dream! 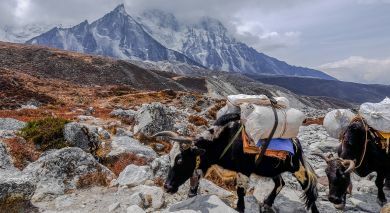 At 8,848 meters (29,035 feet), its distinctive peak is coveted by mountaineers and revered by local Sherpas, who call it Sagarmatha, and Tibetans who call it Chomolungma or Mother Goddess of the Universe, as holy ground. 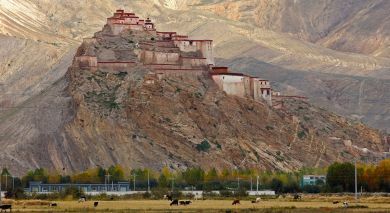 The great mountain straddles the Himalayan lands of Nepal and the Tibet Autonomous Region of China. 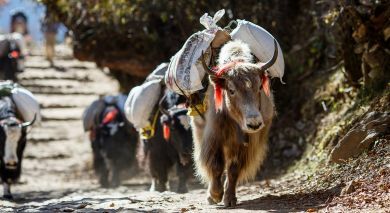 Although reaching the Everest Base Camp is a wonderful achievement in itself, there is much more to the region surrounding the sacred Chomolungma than conquering its summit. Enjoy the unspoiled, natural beauty of this high altitude region and steep yourself in the fascinating local culture and heritage of the hardy mountain communities that call the area home. 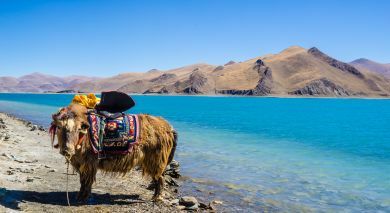 Encounters with intrepid yak herdsmen, Buddhist monks and local villagers will enrich your Everest experience. Not to mention unforgettable sights of the mighty Himalayas, giant glaciers and azure blue lakes, with reverberations of distant avalanches plunging into virgin valleys below.